Users can book to ride now or later. The system will automatically process the ride request and dispatch ride later requests to available drivers. 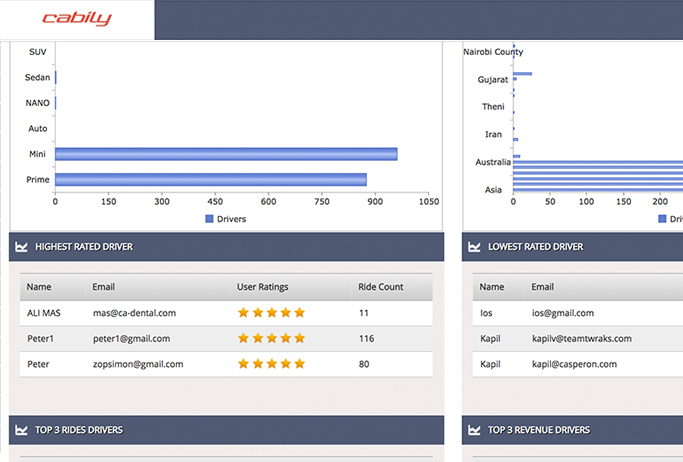 Users app is integrated with Social Media like Facebook that allows easy registration, login and sharing ride details. User and driver can track their ride status in turn by turn navigation by using in app GPS function powered by Google/Waze. Admin can define different price for specific (Peak & Night) time (e.g. 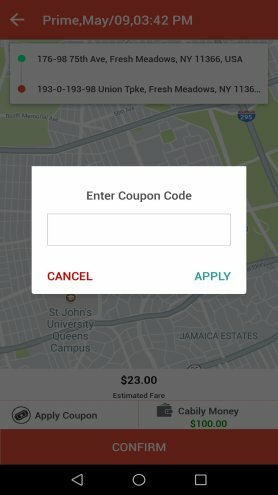 office hours, late night hours,etc), users notified in the app if Surge pricing is available. 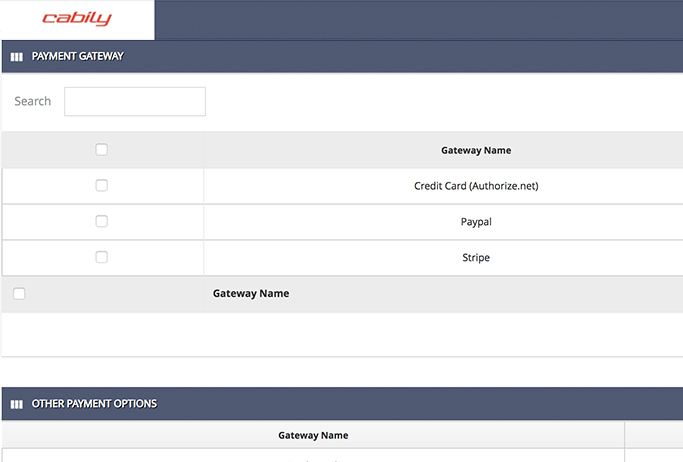 The Card informations are stored in Vault of Payment Gateway providers (Stripe, Authorize.net). Other detail related to payment is stored in encrypted form in database for secured payment process. 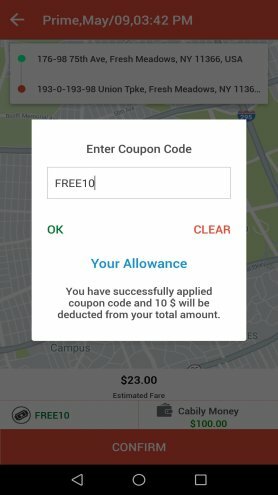 Users can use promotional codes to get discount on their rides. User would earn good referral defined by App owner and App owner by this way will get more users. 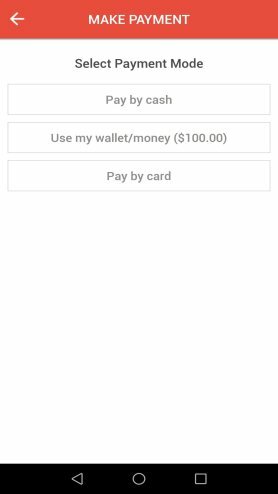 Wallet enables user to use money from his wallet when he/she doesn’t want to use Cash or Credit Card. Admin can top up users wallet and Rider can also topup his wallet via Credit Card and Paypal. Push Notifications and in-app notifications are best and economic way to convey major activities while ride is in process and in case of any special events and promotions. OTL CAB is the fastest way to book a luxury cab service in India. OTL CAB is a travel experience provider that helps users to book a cab in the simplest way possible. Download our free app to get a safe, reliable cab, anywhere, anytime! Justminicab is a minicab booking platform. Customers can book minicab service through professional app. website or even call. Octoppuss Ltd, company registration number 10744629 in England & Wales, it is a transportation and delivery company established in 2017 in Brighton, East Sussex, England. GoMUVR is an on-demand moving service that connects people in need of moving to someone with a truck. Through the GoMUVR app user can select the truck that fits their needs, submit a job and a driver accepts within minutes. Building community one Ryde at a time! Rydepass believes that innovation has no boundaries - the RydePass platform will be extended across the ocean to some of the most shielded out parts of Africa. 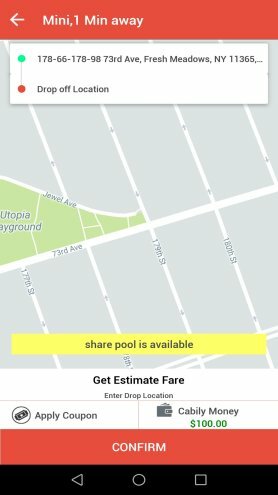 User can get free fare estimate before the ride commences to see how much he will be charged based on the car type he selects and distance between start location and destination. Users can get instant alert/status in the event of any major updates of their rides in the form of notifications. 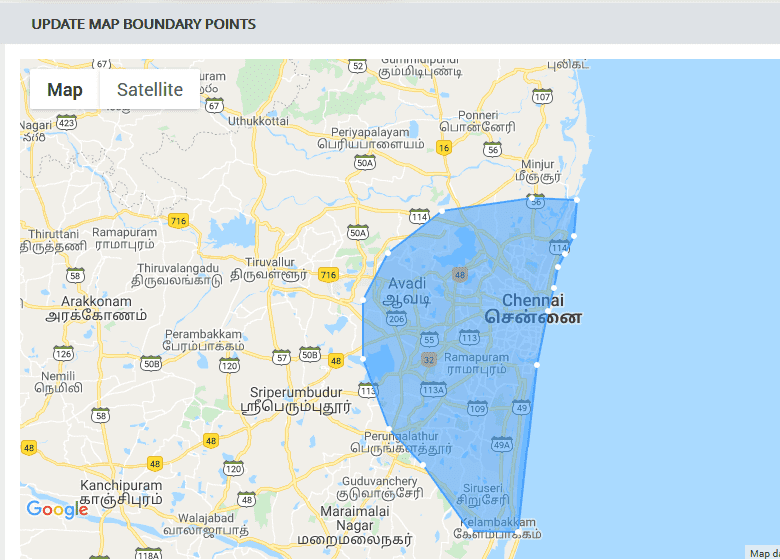 Users can know the accurate arrival time of drivers to user location before and after completion of booking as well. User can see their transaction history and previous rides and invoices in list and detailed view. The transaction history will also have, route detail, TIPS, and billing amount. With our taxi dispatch system, user can make the payment through convenient channels like Cash, Wallet and also through Payment Gateways. 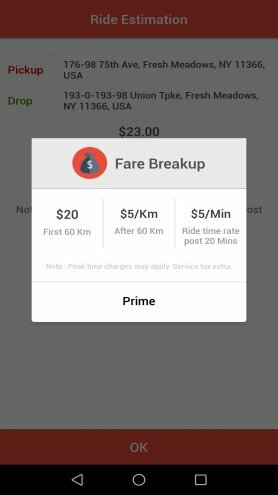 Ride history shows the completed details of pick up, drop location, ride and wait timings, distance travelled, tips (if any) and fare break up. Earning is the most important part in driver side. 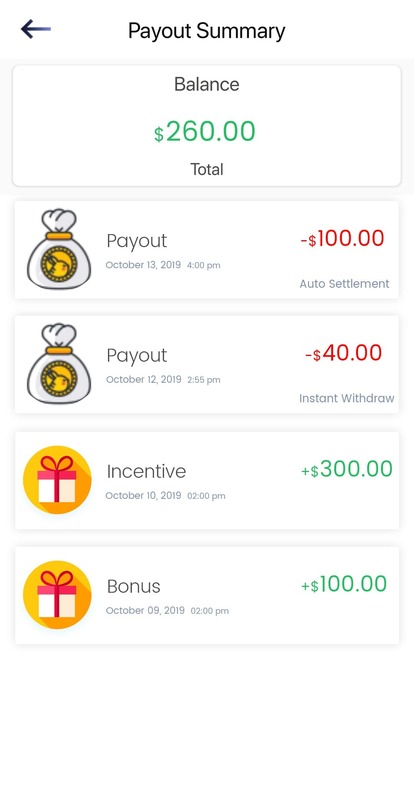 In our Cabily app driver can know the status of their earnings through app itself. 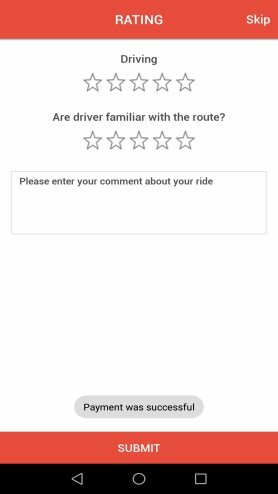 Ride requests are received on driver app at instant when user send, the driver could accept/reject the ride request by single tap. Online/Offline status could be easily managed by drivers by single click. 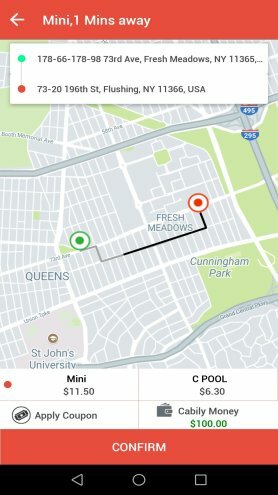 Drivers will get ride request only if they are online. Driver can accept rides from all users irrespective of the car category (if he is opted for), by this way he could able to get multiple rides. 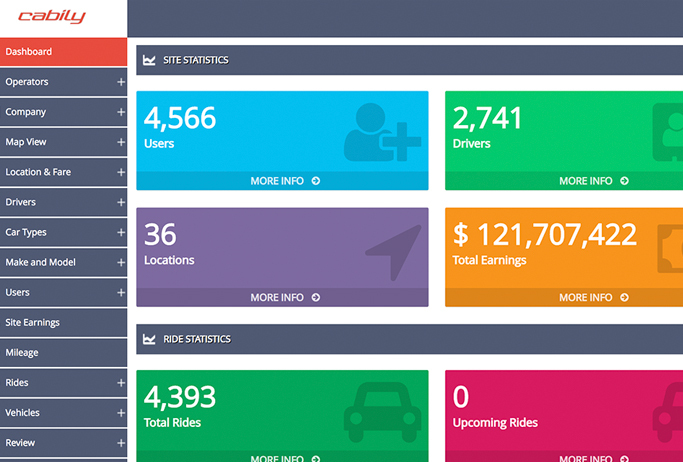 In dashboard itself the driver could able to see the last trip details, today tips, today earnings, his ratings, car type , number etc. 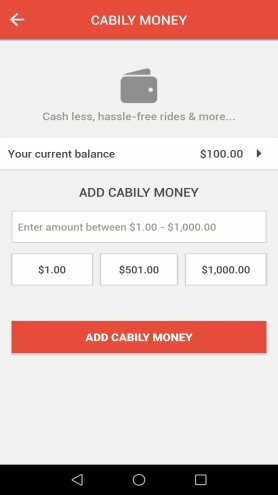 Driver can update their bank account details in Cabily App itself, where admin can transfer driver earnings using that bank account details. Users and drivers are notified with in App notification for ride status, alerts and events. 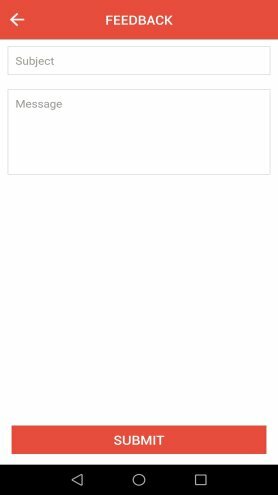 You can send SMS, Email and Notifications to users and drivers on the event of any announcement, promotions, etc. We built our app to run in competitive global market. The standard currency used is the USD but we can replace with any other currency like SGD, EUR, GBP, CAD, AED, MYR, BRL, AUD etc. for FREE. Admin can view all his taxis on map. All taxis which are online will show with their busy or empty status (with colour code) using the real time GPS Tracking System. By this way the owner can keep track of all taxi’s real time location. Operator panel enables your users to book cabs merely by calling you. This feature is useful to people who do not have access to the internet or smart phones. 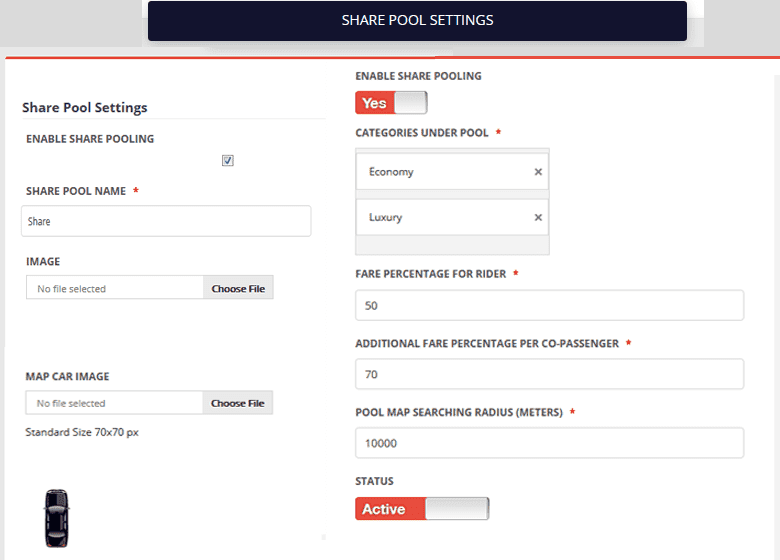 You can accept request through phone calls and then manually assign rides to the locations desired by the users. 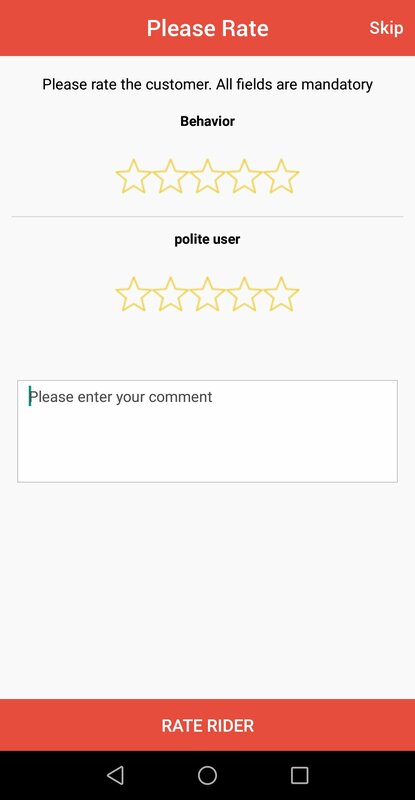 User can pay TIPS to driver as per his wish through the mobile apps. The tip will be recorded in the system and show on financial reports. TIPS is non-taxable and the admin will not have commission on TIPS earned by Drivers. 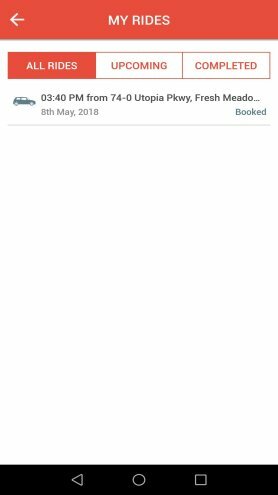 Allow users to cancel booking in single touch. Users can choose available cancellation reason while cancelling. Rides booked for immediate pickup or for later time will be able to cancel. Users can set their locations as favorites that they want to travel frequently and can mark as home, office, etc. 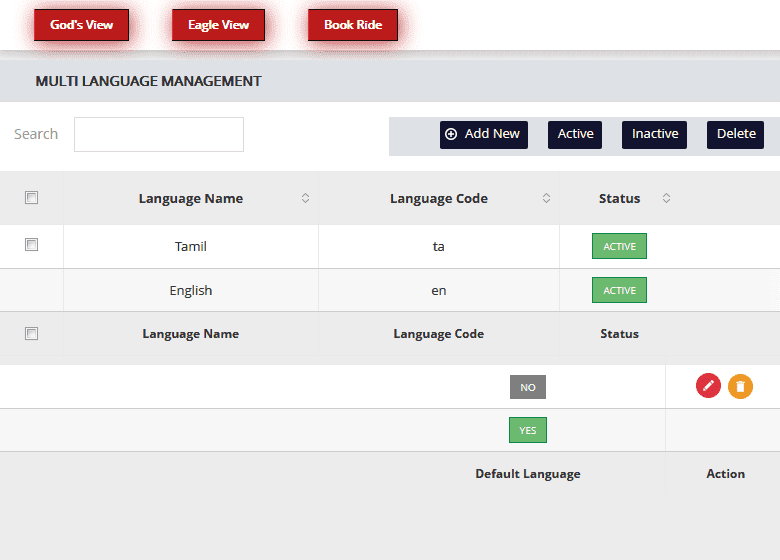 Both rider and user have their trip details in list and detailed view of individual trips. 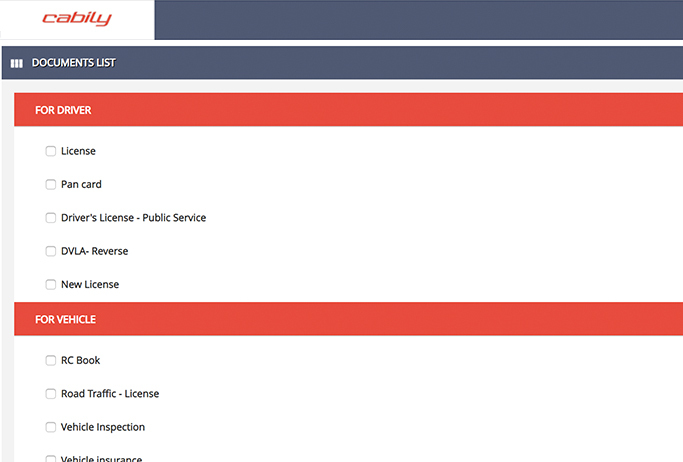 Admin can add and manage necessary documents for driver and vehicle registration. 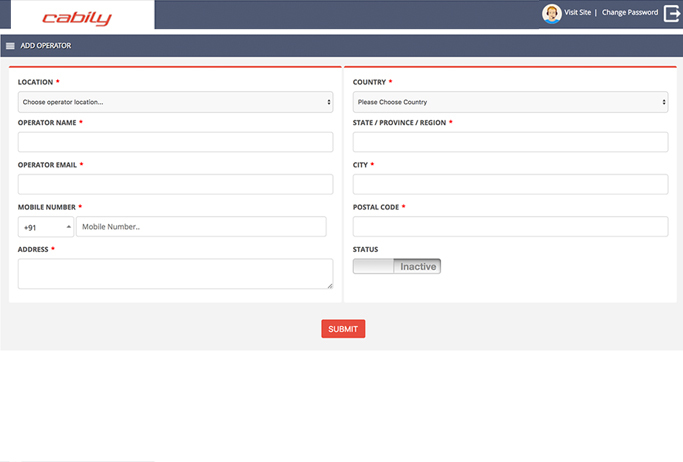 By using this, you can add/delete the driver and vehicle documents based on your own country regulations. There will be no limitations on adding Drivers and Riders. Unlimited Drivers and Riders can register and use the system simultaneously. Also you could add unlimited Sub-Admins to manage the sites. The drivers and users can make use of unlimited rides. Driver can enter Toll or Parking charges at the end of the ride, if applicable and it will include in the trip invoice which user need to pay. User can hit SOS button in case of any emergency. He can immediately contact his contacts and SMS will be sent with his exact location. User and driver can seamlessly chat using app itself. The chat history will be maintained until the ride gets completed. 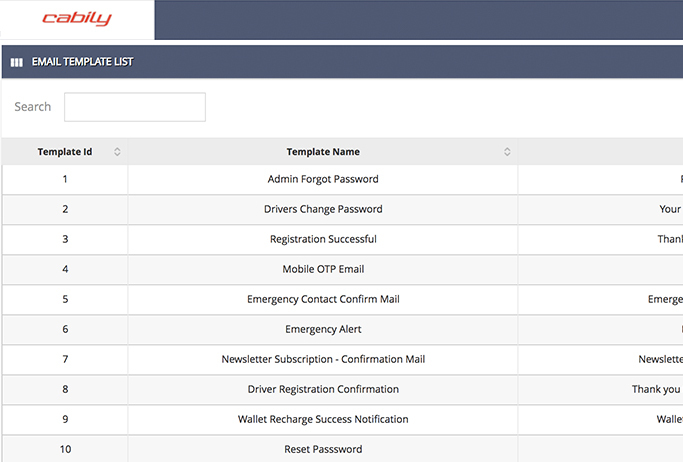 Using dynamic email template management, you can edit the email content/text sent from the system to users and drivers through email. 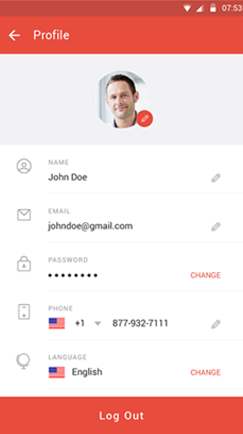 Drivers and users mobile number get authenticated using SMS powered by Twilio, by this way admin can eliminate the fake users from the system. Cabily app is deserved to be launched in any part of the world. We are facilitating to enable an additional language based on your choice to users in your locality. Any one language will be configured for the awesome performance of the app. We know importance of your business so we are not charging any extra cost for removing our brand and logo and placing yours on both web and apps. Our apps are optimized as much as lightweight as possible and is configured to consume less battery on both android and iOS devices. 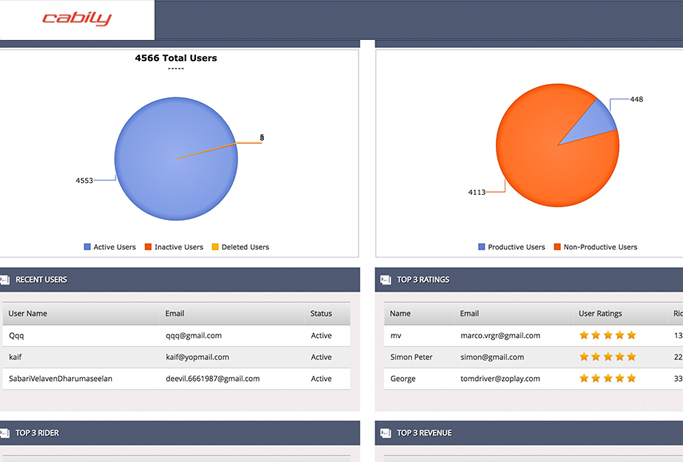 Admin can view the report of the site in excellent graphic manner. Our statistical reports will help you to plan your business well.​ Some reports could be export as excel format. We always work hard to deliver our high quality bug free products to you, but still any bugs arised we will fix it with free of cost within the support period. 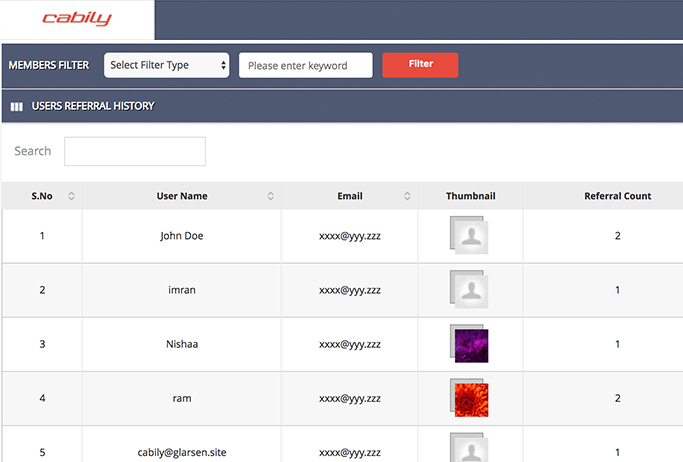 Our Admin Panel is loaded with SEO related settings for all web pages which could be managed from Admin panel. 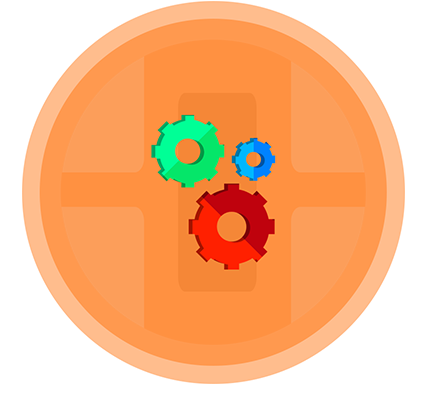 Our iOS applications are built with latest technologies such as Objective C (Version 2.0) and Xcode IDE (Version 9.2). Our expert team will assist you for registration of accounts on 3rd party sites like appstore, SMS Gateway, Payment Gateway, Server, Play Stores, etc. We upload, install and get iOS user and driver Apps approved on App Store. We upload, install and get android user and driver Apps approved on Playstore. Our Android applications are built with latest technologies such as Java and Android Studio IDE (version 3.1). You can set different car types for each cities. Different car types (Sedan, SUV) with different fare system including waiting time. Also you can define different distance unit (kms or miles) and set of documents required for driver registration based on city. Our Script is compatible with almost all commonly configured Linux Servers like Amazon, Hostgator, Cloud Servers, etc. Our expert network team will guide you best server based on your requirement. We are providing dedicated support to all our clients. The basecamp system consists team of experts and professionals from Design, Development, Business Analyst, Quality Analyst, System & Network Engineer, Sales, Project Manager and our Management Team as well. 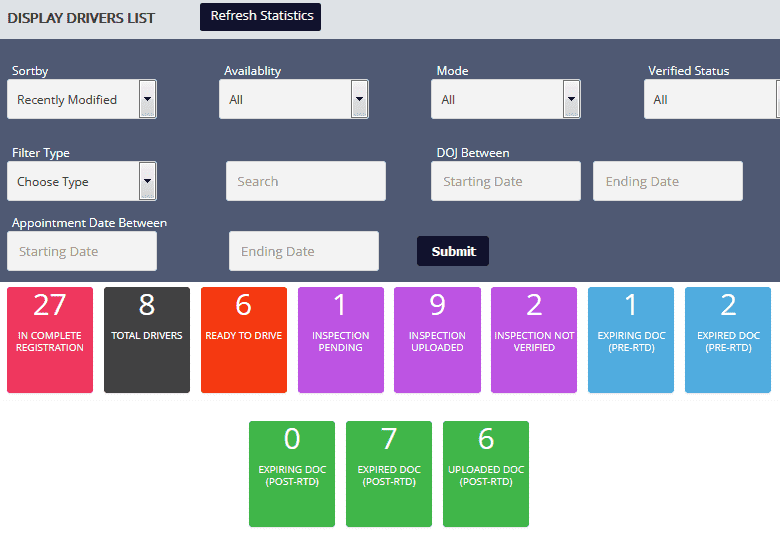 The module through which the individual fleet owners can add vehicles and drivers and they are working under our system. By this way, we can increase the number of services to the users. 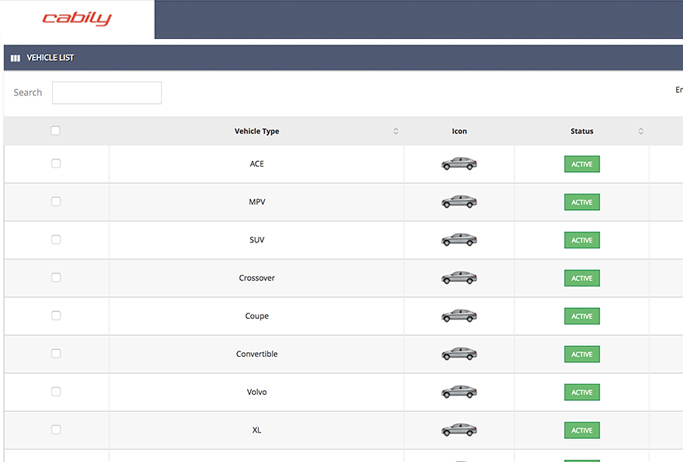 The fleet owners can manage their own vehicles and drivers. 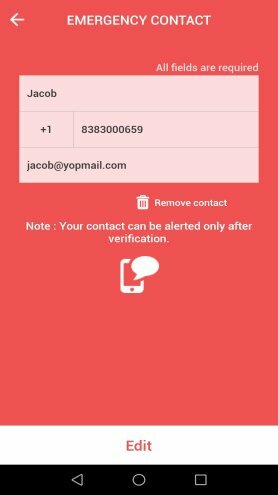 One of the most used SMS gateway across the globally, using Twilio you admin could verify driver and user mobile number while sign up and it used to send SMS from the system.  After the purchasing of our product, it's our sole responsibility to install our website scripts into your server. Our websites are 100% responsive which can compatible to any devices. 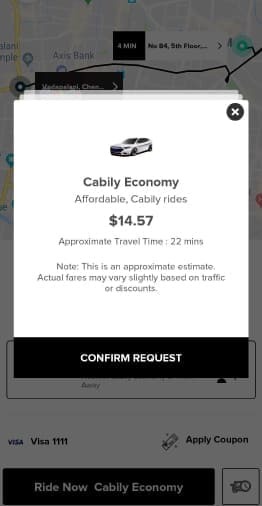 Booking a Cab Has Never Been Easier: The Cabily Automated Dispatch System With the rising popularity of uber like apps, there are so many seemingly reliable mobile dispatch systems available out there, that you don't know which one to choose anymore. Cabily offers you a way out. 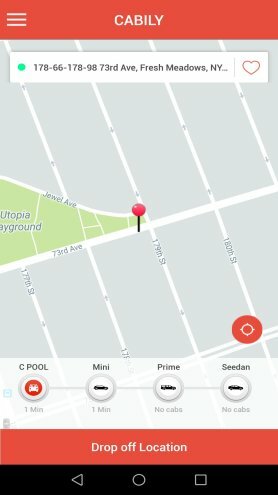 The app is developed using the latest in high end coding practices to deliver a convenient, easy to use interface combined with versatile functional features.The Cabily taxi dispatch system was made for a single, well-defined purpose: to make booking a cab easier both for the traveler and the cab driver. 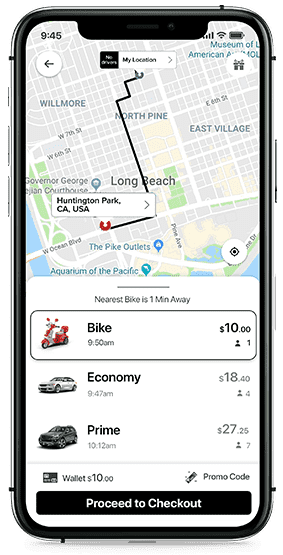 The app uses a powerful system that allows users to simply choose their location and the address they want to get to on a map, and select a driver to take them to their destination. 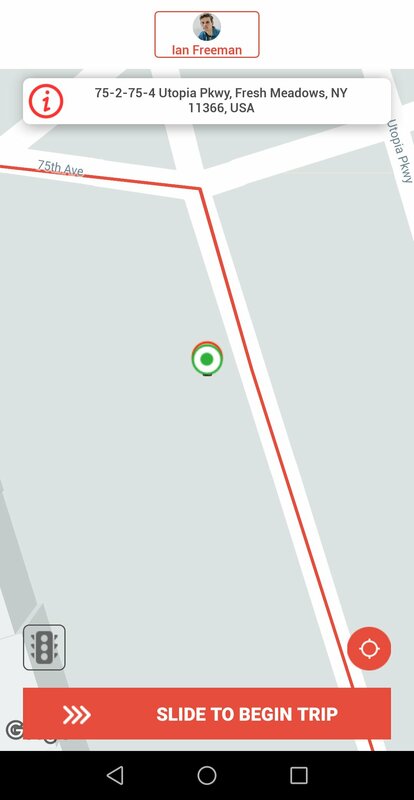 The driver will arrive within minute, and will already have the route programmed, so that optimal efficiency can be achieved, without the need for phone calls or even for communicating the address. 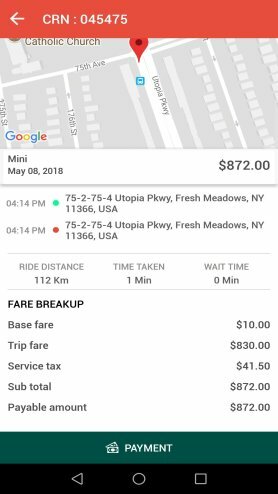 Users of the app can also pay for the fare and any other additional fees online to avoid confusion, and they are even able to rate their driver according to their opinion of the trip. 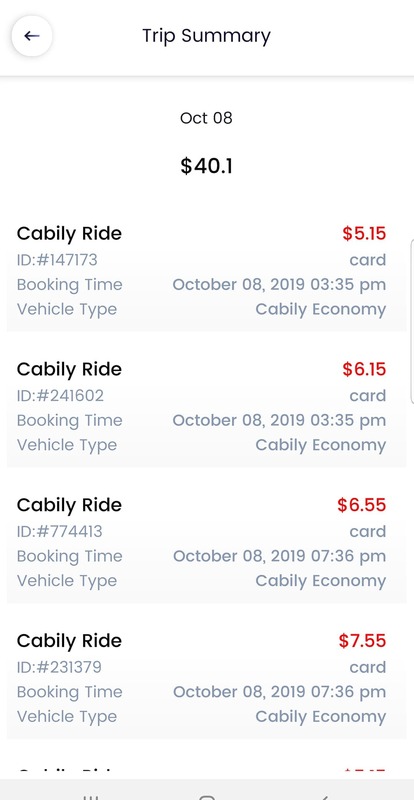 Cabily is considered one of the best and most comprehensive Taxi Application out there, and if you own a taxi service, it will definitely give you a clear edge on your competition. The app is designed using a powerful coding platform that delivers security, flexibility and ease of use. It features a user friendly interface that people can access to book a taxi within minutes. The Taxi software uses fast and accurate map functionality to allow for the convenient selection of starting and destination addresses, as well as the quickest routes. Driver and route information is provided prior to the booking being made. A native Android and a native iOS version are both available, so that clients using both platforms can acquire it without difficulty. 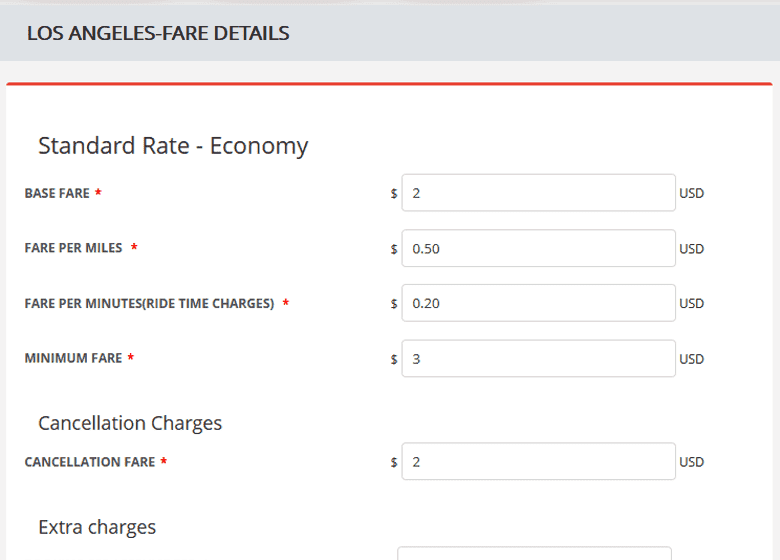 Users can find out how much the trip will cost even before booking their cabs. Cashless payments can be configured and used to offer a safer and more straightforward payment option. 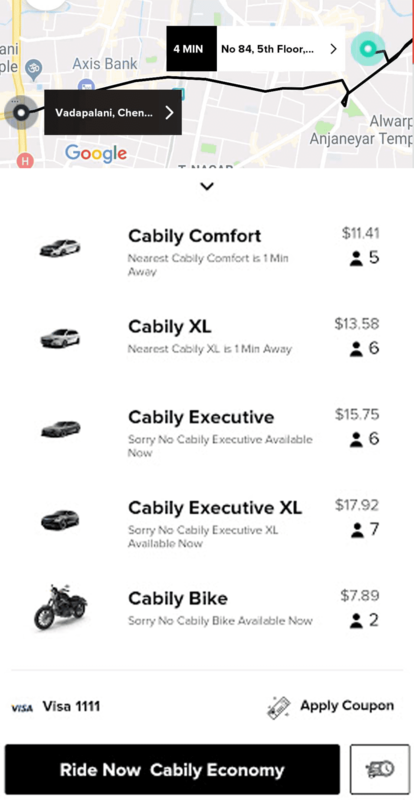 Cabily is an efficient and well-designed uber clone Software that will never let you down, and all you have to do is try it out to see just how much it has to offer. What Is so Special about the Cabily Application? Considered the best taxi dispatch software available at an affordable price, Cabily can provide your taxi service with a powerful and comprehensive solution for leveraging the market and overcoming your competitors. 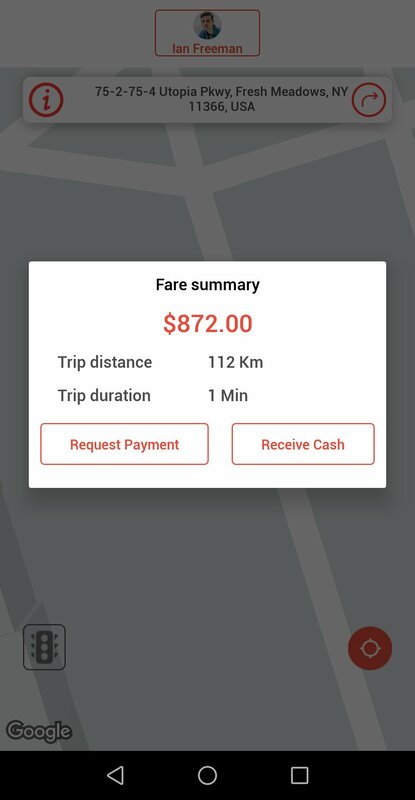 Like most Taxi Applications, it allows users to set a starting point and a route, gain insight on their drivers, and even pay for the taxi fare without even talking to anyone. 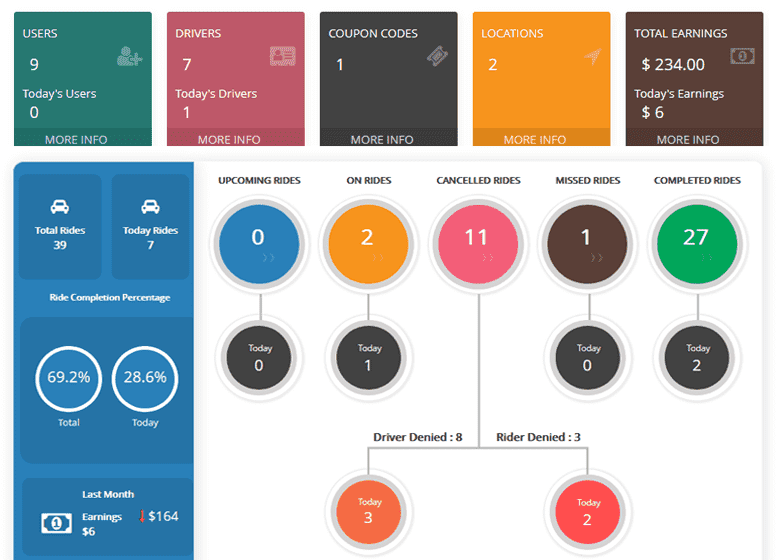 However, unlike most apps, Cabily features a highly simplified interactive user interface that makes it easy for anyone to access it without special knowledge, as well as a completely customizable set of options provided as part of the admin panel to help taxi companies personalize the software for their own special requirements. 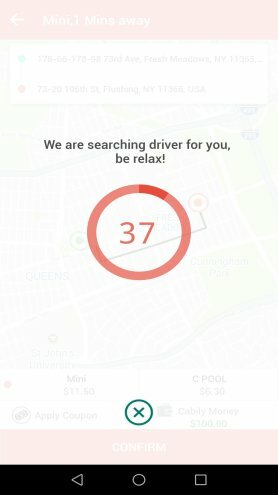 The app will basically create a complex network between your drivers and clients, connecting them through the sharing of information about routes and destinations, while keeping account of the payments and feedback provided by local customers, and allowing you to track and monitor the progress of your drivers to make sure nothing is out of line. 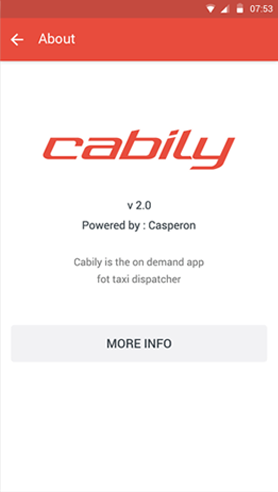 Cabily is available both for Android and iOS, and using a complex Taxi software that will always provide you with the best possible results, it will easily help you up the game against competing taxi companies, and help you achieve the success you're looking for. In this modern age, instead of talking to cab drivers, your taxi operators will have to learn about their brand new responsibilities working with an automated dispatch system such as the Cabily mobile application. 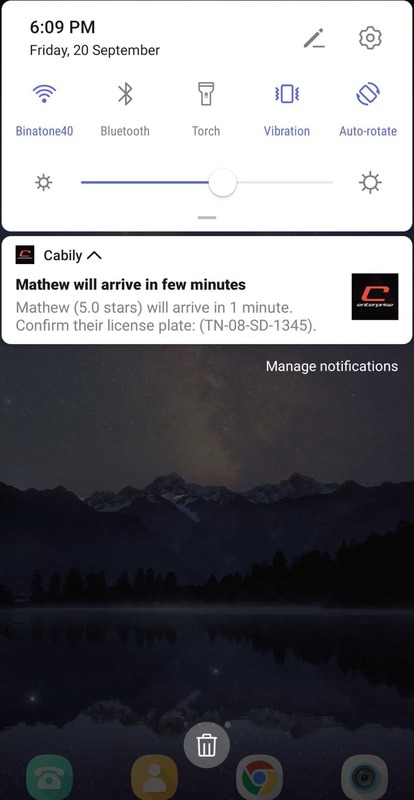 Designed to run on mobile devices on the Android and iOS platforms, Cabily offers a wide range of features that allow you to monitor its results, track your drivers and accurately look up all payments made in a certain period of time. The app will provide you with all the information you require for making sound decisions for your business, and can even keep in touch with customers, who are able to rate their drivers' performance and behavior, while providing feedback that can be essential for the overall operations of your business. 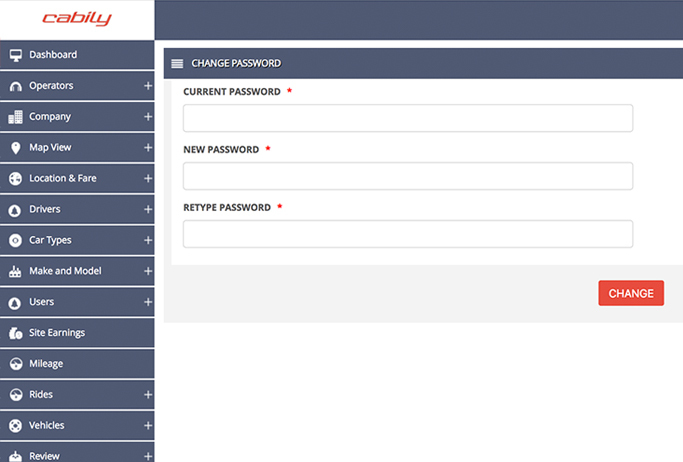 Cabily's admin panel is extremely easy to use and configure even at a short notice. Whenever you decide to change fares, policies or details associated with the cashless payment system, all modifications will be extremely easy to implement. Moreover, the app can be set up to monitor the progress of each driver, so that you will have access to all the numbers in real time. To truly keep your company under control, all you will need is our Cabily software, and you will easily be on your way to dominating your city and offering the best cab service in town. The transportation service of Cabily is being in a better place to provide a transportation service with the help of the mobile application. By using the respective mobile application, the user can book the tickets or get the details about the transportation. There are so many indispensable terms and conditions are available to access this ride-hailing service through online. The person can plan for a trip and have a happy journey through this mobile application which is the clone script. In the current scenario, even though, the people can access the number of desired application to achieve the task; this mobile application of Cabily is placing a better performance. This ride-sharing mobile application is mainly used to book the taxi to have a journey. 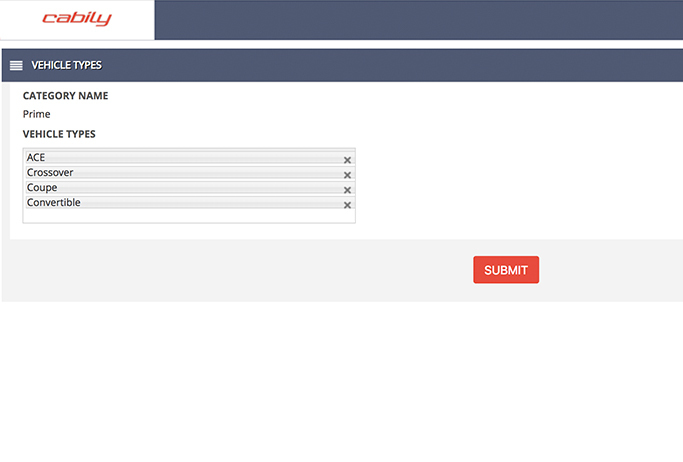 This is completely customizable one and it could be an efficient way to achieve the task. Let we have a detailed explanation about the performance and features, specifications which are available in this clone script of Cabily. The Cabily, taxi booking app is providing a hassle free service towards the transportation. 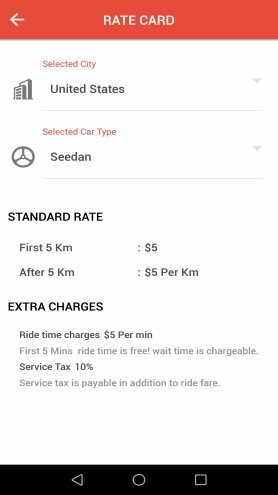 This taxi booking software is providing quick accessing service to the commuter and the destination is already defined one to the rider. There are some robust features are available on the mobile application of Cabily. 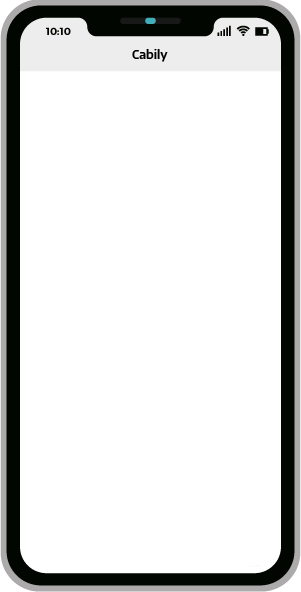 It provides a best multi interface and the user can user can renounce the mobile application as per the wish. Some of the users may don’t have ample amount of time to book the tickets on the correct time. For this purpose, the ride-hailing service of Cabily is revealing the book later facility. The clone script of Cabily is having an interconnection with the social media where the common information is collected. The payment which is made to book the tickets are very secure and trustworthy for the user. Promo and referral codes are distributed for the confidential transmission of information. 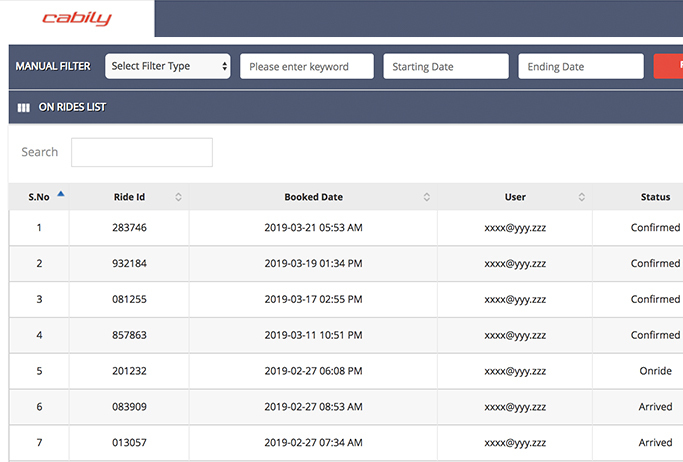 In the clone script of Cabily which is used to have a ride-hailing service is helping the user to access the emergency contact when it is needed. Fare estimation will be very accurate comparing to the other transportation facility. Authentication facilities are achieved with the help of privacy and security settings on the mobile application. The commuter’s location can be marked on the map to reach the desired location. The wallet service is effectively used to pay the amount while booking the tickets. Instant alert on the ride requests is possible through the mobile application and add the bank account details with the respective mobile app in an authorized manner. 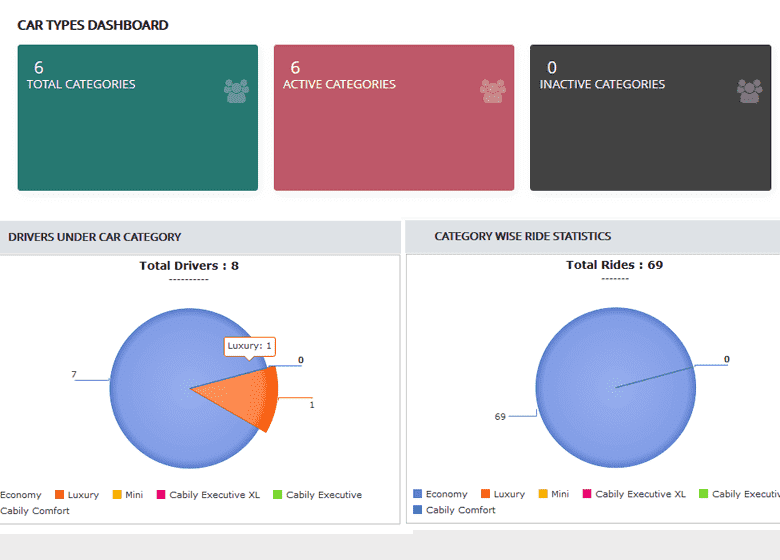 Estimation of each ride is providing a tipping feature for the safest journey around the world. There is an availability of multiple rides which are achieved by the riders with skilled profession towards the direction the route. Additionally, there are so many advanced features and techniques are added up with the clone script of Cabily to provide a better performance. 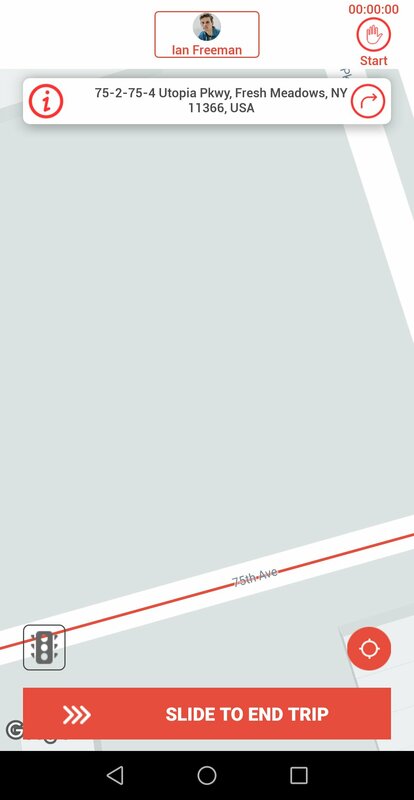 This clone script has a live app tracking process to track the location of the commuter. The payment details and other details of transportation are directly updated to the customer. To pick up and drop the users, the navigation key is used to the riders who are responsible for directing the route for the specific location. Push notifications are revealed by the mobile application which is performing the desired task of the user. This clone script is accessible on the platform of Android and iOS and the application users can have mutual benefits. It distributes so many offers to the users on the festival time and the riders will lead the customer to have the safest journey. The clone script of Cabily is having a flexible interface and the app can be accessed by both the rider and commuter. This dispatching system is distributing the variable functional features to accomplish the desired result. The self-driving vehicle is available in this transportation service which is recently implemented. Integrated analytics for the web accessing service with the limited restrictions and it also reveals the service of multi-location access. Caller identification and the transaction history will be accessed by the users without spending too much time. This clone script is highly advanced one to book the tickets and the accessing methods will be very much easy. The driver is responsible to direct the route and the actions which are happening while traveling. 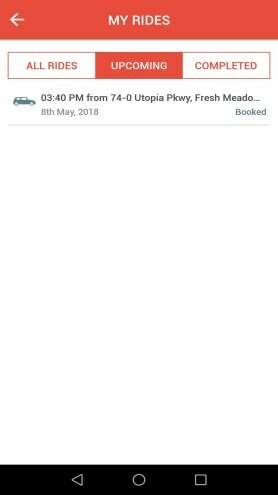 This clone script is one of the taxis booking mobile application which facilitates so many offers to the users. The clone script of Cabily is providing most of the admirable features to accomplish the desired work towards the service of transportation. There are so many safety cautions are available while accessing the transportation service through the mobile application. In order to implement the mobile application with respect to the modern technology, every smart phone, and the advanced communicative devices are supporting this clone script. Cabily is satisfying the user’s demand and when comparing to the other scripts, the Cabily is much better. To reduce the network traffic there are so many mobile applications have been introduced with the same motto. 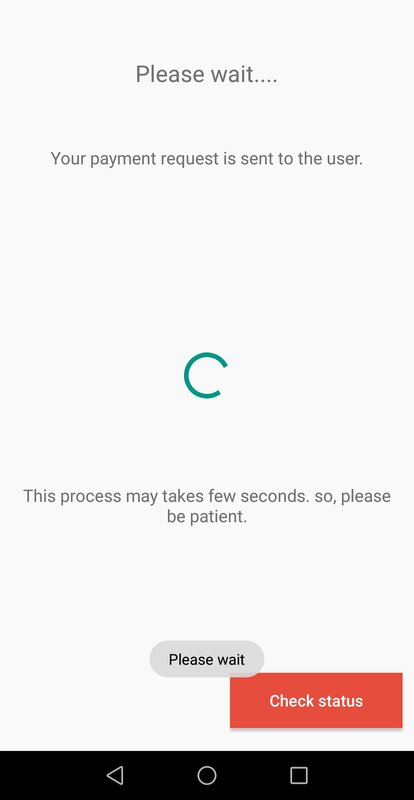 The Cabily clone script is requiring some amount to register with this service and accessing it through our mobile device. The user should know about the complete procedure of accessing the transportation service of Cabily. 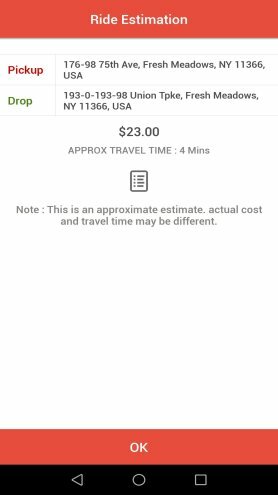 Cabily Script has the features similar to the taxi booking app. It acts as the intermediate between the riders and drivers. 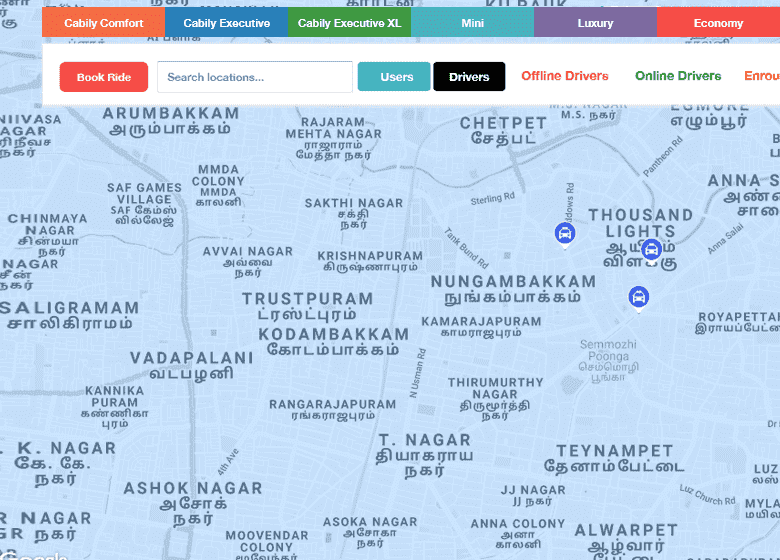 Cabily has the user-friendly interface, so it encourages people to book a taxi for the ride in their city. 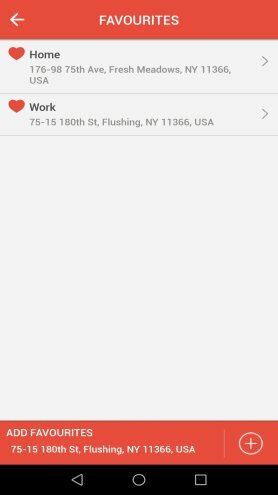 The app is integrated with the Google map and the riders can track their taxi once their request is accepted by the driver. This is one of the best clone scripts of the Uber and creates a revolution in the clone scripts market. They had an experienced and well –trained technical team for the Taxi app development. They will support to install in the cloud server and full- fledged error free code. 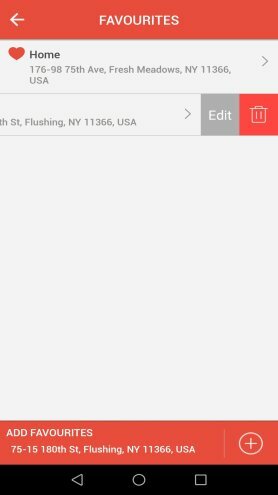 The clone scripts save money as well as time for the owners who like to get own app for their business. 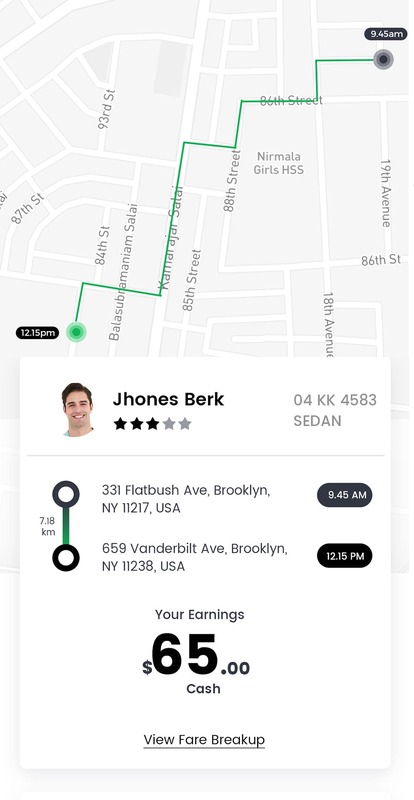 It has the power packed features of the Uber and alters the code, and then adds unique features according to the client’s request. This is confirmed that most of the people in the current world are accessing the mobile application by using the different mobile devices. Coming to the offers, it is distributed on the festival days and the important days of the service which is providing the process of ride-hailing. 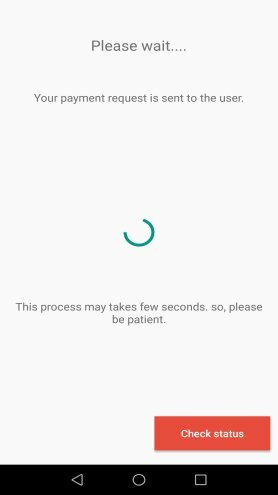 Dramatically, the information is updated via a corresponding mobile app and the performance also varying with respect to the tasks. Eventually, the user has to note that the uber script is providing an efficient performance towards the transportation. The platform which is accessing this script is easily available on the mobile device. On the Google Play store or App store, the uber clone script can be downloaded. This is mandatory to follow the terms and conditions which are distributed by the service of transportation provided by Cabily. The user can make use of this mobile application and can get the benefit through it towards the ride-hailing service.